Cambridge Preserve in Builder Closeout – Hurry in to take $30K off the List Price of Any Basement Home! 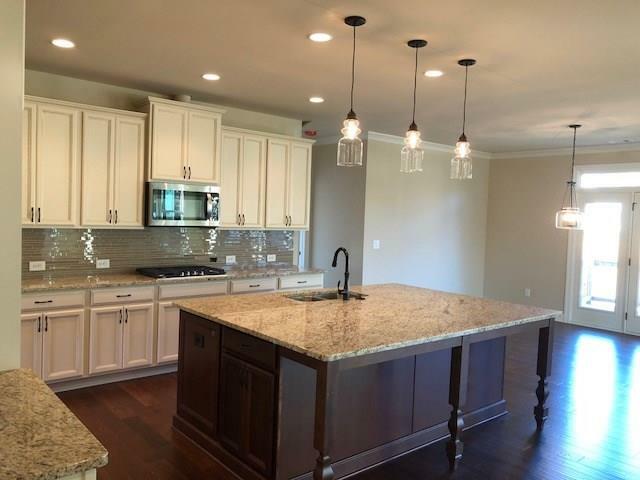 Cambridge Preserve is NOW in Builder Closeout! It seems they saved the best for last in these beautiful new construction homes by Patrick Malloy Communities. Located in a great location with top-notch schools, Cambridge Preserve has sold rather quickly. Lot Homesite 79 |$524,010 |3 BR, 2 full & 1 half BA – [shown above] Cambridge A tucked in a cul-de-sac with a sprawling basement is the right size for those looking to down-size. The generously sized gourmet kitchen is perfect for entertaining & opens to the family room with a stacked stone fireplace. Sweet dreams await in the cozy master suite with a roomy closet built for two. Enjoy the yard in your new home with landscaping that is already in place with mature hardwood trees and beautifully landscaped grassy areas in the backyards. Every home is built to deliver timeless quality and detailing. You’ll be proud to invite your family and friends over for years to come in one of these homes by Patrick Malloy Communities. If privacy is on your must-have list, consider this. Cambridge Preserve offers private, wooded homesites and many varieties of home plans. Whether you are in the market for a ranch home, master on the main home, master upstairs plus the option of a 3rd car tandem garage; this community has your dream home plan ready and waiting! School is just around the corner and now is the time to check out these great schools. Hillgrove School District’s rating is a sought after 10 out of 10 at Greatschools.org (based on test scores). Children residing in Cambridge Preserve can attend Dowell Elementary, Lovinggood Middle or Hillgrove High School. The location is ideal as well with easy access to Town Center Mall, I-75, Kennesaw Mountain and Historic Marietta. Located at the intersection of the East/West Connector, Barrett Parkway and Macland Road, you can get anywhere fast! It’s like the best of both worlds. You have easy access to the best of “city life” in Atlanta yet Cambridge Preserve is peaceful and laid back with great amenities, gorgeous homes, and wonderful schools. Sales handled by Berkshire Hathaway HomeServices – Georgia Properties – New Homes Division. All information is believed to be accurate but is not warranted. Subject to errors, omissions, changes or withdrawal without notice.